Skin tightening and lifting require appropriate products, equipment and technical expertise. For its success, the V shape radiofrequency skin tightening is a solution. The primary objective is to stimulate the body to produce collagen and elastin cells (building blocks of the skin) in a quantity high enough to create greater support for fallen skin and the surrounding structures. Collagen and elastin production reduces with intrinsic aging (the natural aging process) or extrinsic factors (for more information click on causes of aging), leading to visible sagging and thinning of the skin. Anti-aging treatments are required to reverse sagging skin issues. V Shape facial contouring is a non-invasive treatment combining two technologies – ultrasound and radiofrequency. 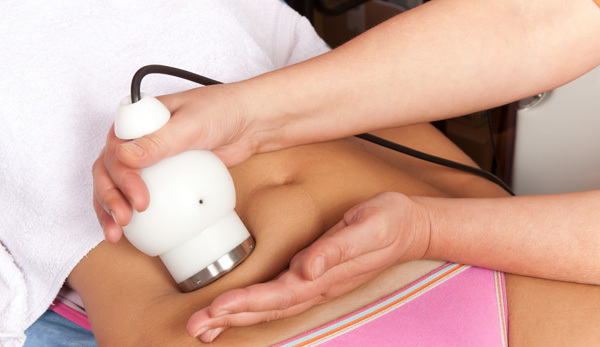 Ultrasound (or shear wave technology) acts on fat cells while radiofrequency helps in removal of the fat and tightening the skin. Safe and painless, V Shape is an alternative treatment to surgical procedures for skin tightening and facial contouring. This treatment takes away years from your face and is the only non-invasive contouring treatment dedicated to your body’s most prized possession – You’re Face. Safe & effective – V Shape is not only the safest, but also the most effective non-invasive option for face and body contouring. V Shape has been performed in 80 Countries and successfully treated thousands of patients. Quick visible results – You may see results immediately after the first treatment, though most improvement will be noticed in the days and weeks following each treatment session. Number of treatment sessions – Generally 4-6 treatment sessions are recommended. No side effects – V Shape is safe and effective with no side effects or downtime. Duration of each treatment session – A typical session lasts 20-30 minutes. As the procedure is pain-free, you won’t need to spend any time preparing or recovering from the treatment. Most body parts can be treated – While V Shape is a procedure designed for your chin, cheeks, neck and the periorbital area around your eyes, the treatment can be performed on almost any body part including abdomen, thighs and buttocks. Note – Ask your practitioner if other areas of your body are suitable for treatment. considering factors like your desired goal, required downtime for recovery and tolerance to the treatment. We also state realistic and achievable outcomes of the treatment.